This is Part II of my interview with Norman Wanstall. Part I focusses on Norman's beginnings in the industry and his time working on the Bond series. You can read it here: http://www.money-into-light.com/2012/02/paul-rowlands-interviews-norman_10.html This part focusses on Norman's work outside the Bond series, and his years after leaving the movie industry. What effect did the Oscar have on your career? Well let’s put it this way. The most important thing to achieve in the movie business is without doubt, respect. If people respect you they will want to employ you and in a freelance industry that is of prime importance. I think everyone knows that luck plays a huge part in the winning of awards because without the right vehicle one cannot stand out from the crowd, but nevertheless an award does indicate the level you’ve reached in the industry and colleagues invariably respect you for that. In my case I feel it did bring a lot of respect and it definitely helped me to achieve my ambition of becoming a film editor. The singer/ songwriter Mike Sarne heard about my award, and contacted me concerning a documentary he’d shot in the South of France. 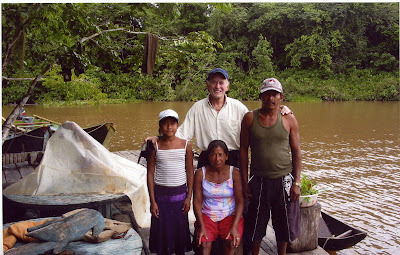 He hadn’t been able to afford a sound crew while on location so his film was completely without sound, and it was only by using my contacts and working for free in my spare time that I was able to produce a very basic sound-track at very little cost. As a result, Mike and I became very close friends and he promised I’d be his editor if he ever had a chance to direct a feature film. As it turned out, about a year later 20th Century Fox gave him the chance to direct his script JOANNA, which was remarkable considering he had so little directing experience. Anyway he was true to his word and told Fox that he wanted me as his editor, but he later admitted that without the Oscar as bait they would never have accepted someone with no previous editing credits. 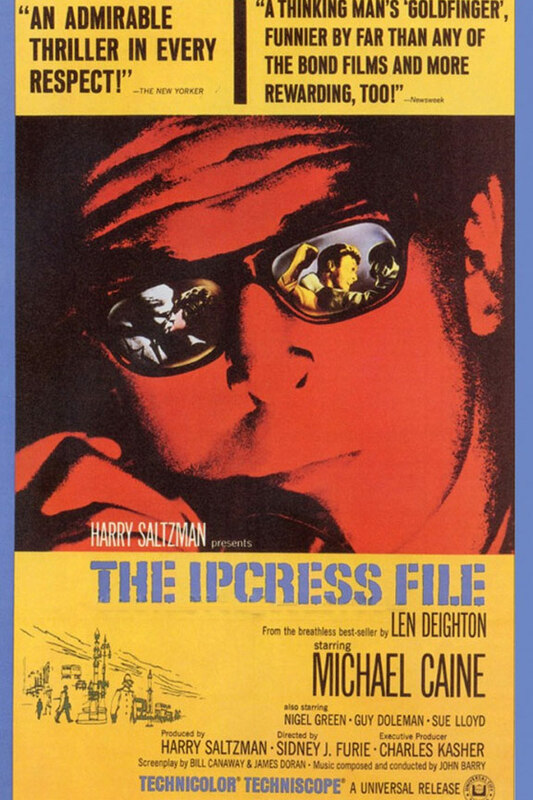 THE IPCRESS FILE (1965) was a challenging film, wasn't it? Strangely enough, I was recently contacted by Edward Milward-Oliver, who is writing a biography of Len Deighton, and was interested to hear about my experiences on IPCRESS FILE. I told him quite honestly that of all the films I’d worked on, IPCRESS FILE, was my favourite. It was a highly stylised spy drama, brilliantly directed by Sid Furie, and a film I would love to have watched as a normal filmgoer. The fact that it won the British Academy’s Best Film award was of no surprise to me. I’ve always said that one of the film’s greatest assets was the fact that so many scenes (including interiors) were shot on location. Everything went very smoothly on IPCRESS, but of course I faced the challenge of coming up with the brainwshing sound that was found on thetape in the warehouse. Again, there was virtually no technology around to produce a sound like that, so I turned again to my contact at the BBC Radiophonic Workshop. I explained the nature of the sound I was after, and the guy not only produced it to perfection but also gave it a 'circular beat' that matched the turn of the tape spool when it was first played. Just brilliant. Were you surprised when the film made Caine a star? Any anecdotes? I thought Caine was excellent casting for the part of Palmer in IPCRESS, and was surprised to hear his voice after seeing him in ZULU (1964). I wasn’t sure at the time that he’d be suitable for too many other parts because he didn’t seem to fit any known category. He certainly wasn’t your usual hero. I think he was a product of the times. After ALFIE (1966), the world was his oyster, and I think he’s proved to be by far one of our most versatile actors. I confess I had no dealings with Caine on the movie as another dubbing editor handled the dialogues. How come you never worked on the sequel, FUNERAL IN BERLIN (1966)? I'm not really sure why Peter Hunt wasn't offered the film, but I suppose as Guy Hamilton was directing, he had no chance. You probably don't know that Peter and Guy had a vey strained relationship on GOLDFINGER, and it created a lot of tension and 'atmosphere'. The problem was based on the fact that Peter was given a lot of credit for DR. NO, and from then on, Cubby and Harry virtually left all the post-roduction to him. They trusted him totally, and by the end of FROM RUSSIA WITH LOVE, he was virtually a power unto himself. Guy wasn't used to having an editor in such a strong position, and in no time at all, they started to cross swords. It wasn't a happy picture from that point of view. I think one has to bear in mind that the movie business is a very creative industry in which many creative people are brought into contact with one another. For this reason, film people try to work in closely-knit teams because it's essential that everyone works in the same way and thinks along the same lines and there's no clash of personalities. Unfortunately, in a freelance world, people have to move around and frequently end up working with new colleagues, so it's inevitable that at times there will be a clash of personalities. The fact that Peter and Guy found it difficult to work together was unfortunate, but hardly a rare situation. It happened frequently within the industry, and in some ways I m surprised it didn't happen a lot more. I would be the first to admit that there were members of the editing fraternity who I knew I'd never work with simply because we had nothing in common or we lived in different worlds. I must say, though, that in all the years I worked with Peter we never had a cross word, and the team he kept around him was a very happy one. He never took loyalty and dedication for granted and always rewarded it whenever possible by giving one the opportunity to learn and progress. From very early on in our relationship, he would go off to visit the set and leave me to assemble scenes, so that he could return later and shape them to his liking. This was of huge benefit to me, and as I learned from his experience, I gained in confidence. ﻿In spite of his benevolent side, when a situation demanded it, he could be tough and you certainly need that element in your character if you're to become a director. Not only are you in charge of the artistic design of the scenes but you're also in charge of the cast and crew, and that's a huge responsibility. He gained great respect from colleagues and the critics alike for accepting the challenge of ON HER MAJESTY'S SECRET SERVICE as his first directing job. Cubby and Harry trusted him totally and he didn't let them down. I feel very fortunate to have worked with (and learned from) man as talented as Peter. I've never forgotten the words of producer Victor Saville when he saw the final cut of THE GREENGAGE SUMMER. "Brilliantly cut," he said. "Cut to the f.....g sprocket." Mind you, Peter certainly showed his ruthless side with his treatment of Thelma Connell on YOU ONLY LIVE TWICE. Thelma had edited for Lewis Gilbert previously, so she was a natural replacement for Peter when he was given the 2nd unit to direct. She asked me if I would come on as dubbing editor as I had worked on the four previous Bonds. When Peter returned from Japan, he obviously wanted to get back his editor's chair, so he deliberately gave Thelma a hard time and criticised her work. The situation soon became intolerable and thelma left the picture, which was when my relationship with Peter also started to fall apart. Somehow everything seemed strained and we weren't working as a team any more, and I think I realised that this was the last film we'd work on together. It was a great shame, because up until that time, Peter had indicated that I would become his editor if (or when) he was given a picture to direct. What a difference that would have made to my career. I do find it interesting (and I'm sure you do too, Paul) that Peter was never given another Bond film to direct after his remarkable debut with OHMSS. No doubt thereby hangs a tale! Why do you think the 60s were such an exuberant time? This is probably the most difficult question to answer. Who can really say? I suppose one could argue that it all began in the late 50s and early 60s, when the so-called ''kitchen sink'' films came into prominence. Films like LOOK BACK IN ANGER (1956), ROOM AT THE TOP (1959), SATURDAY NIGHT AND SUNDAY MORNING (1960) and A TASTE OF HONEY (1961) (some of them produced by future Bond producer Harry Saltzman) introduced a new, gritty realism to the cinema that had never been seen before. Together with the new era of pop music with the likes of The Beatles and The Rolling Stones, they created the start of the so-called 'swinging sixties', a kind of “anything goes” culture that in many ways changed our country forever. It's said that films always go in cycles, and one can see how once the new approach to movies had started, it set off a chain reaction. Films became more daring, more explicit and more ambitious, which has led to films being made today that would never have been dreamed of years ago. It's interesting to recall how Fox came up with the slogan 'Fox Thinks Young', which is the reason Mike Sarne was given the chance to direct his 'Swinging 60s' movie, JOANNA. Aside from Bond, what projects are you the most proudest of? I was particularly proud of my editing of JOANNA, because even though the film wasn’t well received at the time, the style of the editing was praised by the critics. Mike the director was always up for new ideas, and this gave me a lot of freedom. I received quite a few enquiries once the film came out, and I was flattered when Richard Donner invited me to replace his editor on TWINKY (1970). Soon afterwards I was called back to London from filming in Denmark to be interviewed by the great Norman Jewison for his film FIDDLER ON THE ROOF (1971), apparently because he liked the editing on JOANNA. Sadly I didn’t get the job but it was an honour to be interviewed. I was also very pleased with my work on the film JERUSALEM FILE (1972). I was stationed in Israel whilst the film was being shot, and was frequently able to offer ideas to the director. I received a lot of praise for the editing, and the producers rewarded me with a holiday for myself and my wife, but unfortunately the film wasn’t well received by the critics. I think the happiest film I worked on was WARM DECEMBER (1973), and I was very proud of the relationship I built up with the director Sidney Poitier. I was hired to handle the dialogue, which meant I worked very closely with Sidney and the other actors. Sidney treated me with great respect, and asked my opinion on everything. The American editor was known as ‘Pem’ (short for Pembrook) and he watched me one day as I supervised the re-recording of some actors’ voices. The next day Sidney came up to me and whilst looking me straight in the eye he said in that very distinctive voice of his ... ''Pem says you’re the best f-----g sound-cutter that walks.'' I often have a laugh about that. I would say my proudest achievement was writing and editing a documentary called REJONEADOR but I’ve never worked out what happened to it. The film was all about Don Alvaro Domecq y Diez (of the famous sherry family) who bred fighting bulls and fought them in the bullring from horseback. It was financed by some guys in Jersey, and after the producer and director left I virtually finished the film single-handed, even writing the commentary. As far as I know it’s never been shown, and I’ve always wondered what happened to it. Any strong memories from working with Francois Truffaut on FAHRENHEIT 451 (1966)? I really LOVED working with Truffaut, even though he couldn’t speak a word of English. Looking back now I wish I’d had the confidence to use my French, but at the time I was afraid he’d think I was more fluent than I was, and I wouldn’t be able to understand him. He did pick up a few English words during his stay, but when he arrived the only English words he knew were the titles of all the English and American films he’d seen over the years. And from that comes a great anecdote. 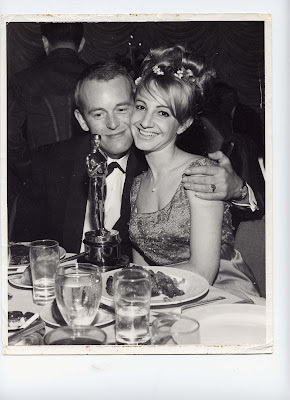 Julie and I worked very well together, and as she was up for the Best Actress Oscar (for DARLING, 1965), she was keen to pick my brains. I sent her a good-luck telegram and gave her a big hug when she returned with the award. It was a very happy film for me and a great privilege to work with Truffaut. How about WHO? 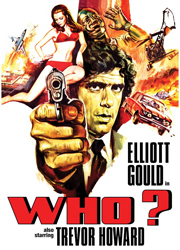 (1973) with Elliott Gould? I have very fond memories of working on the film (it was later called THE MAN WITH THE STEEL MASK). I'd already worked for producer Barry Levinson on THE ONLY WAY (1970), and we got on very well. Director Jack Gold was a really easy-going guy, and he was pretty impressed when he saw how quickly I'd put the film together. The thing was that I had nothing else to do living in a foreign hotel, so I simply worked around the clock, seven days a week. Within days of Jack finishing shooting, the film was assembled and ready for viewing. All the actors and crew were based in Munich, but I was left to myself outside the town in a hotel very close to Bavaria Studios. I just jumped on a tram each day, and was in my cutting room in no time. I recall expressing my concerns to Jack one day over the lack of material we had for a shoot-up scene at an airport, and he asked me to list the extra shots we needed. The next day, he took my list and shot the lot and it changed the scene completely for the better. After that, Jack asked my opinion on everything. This was the reason I wanted to become an editor. I had a post-synchronising session with Elliott Gould, and as he was so experienced and professional, it went like a dream. I don't think any of us realised how tall he was. He was so tall he towered above everyone in the recording theatre. A really great guy. I don't know if you've seen the film, Paul, but the story opens as a scientist, wounded on the border of East and West Germany, is returned to the Americans, having had very major surgery performed by the Russians. The man was so badly wounded that many of his limbs had to be replaced mechanically, and his head was completely encased in metal. The rest of the film involved the FBI man (Gould) trying to be sure that the man the Russians had returned was the man they had lost ... and not a spy! As the man had a metal head, he naturally spoke rather strangely, so when I post-synchronised him I made sure the actor kept part of the metal on his face to ensure he spoke in the same way. The trouble was that having only part of the metal on his face made him look really comical, and every time he turned to me for instructions, I could barely keep a straight face. It was a tough one that, but it all went very well. Do you prefer editing to sound editing? The fact is, Paul, that it was never my intention to become a sound editor, and all I ever wanted was to edit films Unfortunately in a freelance world you have to take the breaks when they come and you just go with the flow. As far as I was concerned, sound editing was a stepping stone to one day achieving my ambition, and in the end of course that’s the way it worked out. In every department there are stepping stones, but to make the leap into the top-man’s shoes is very difficult indeed. For a camera operator to make it to lighting cameraman is the equivalent of climbing Everest. Likewise for an assistant to make it to Editor. The challenge is finding someone to give you that first break when you’ve never done the job before. The reason I wanted to edit films was because you can have so much influence on the film’s outcome. There are limits of course but you can set the pace and move scenes around, and influence the music sections and even suggest ideas for extra shots to the director. You’re at the helm. This is the reason why experienced editors like Peter Hunt and John Glen have finally made it to director. It’s a job I loved, and it’s a shame I never cut a film that everyone remembers. Which American president was it that said ... ''If you can’t stand the heat get out of the kitchen''? I realised as I reached my forties that I could not spend the next twenty-odd years never knowing where the next job was coming from. Also, the long hours and working abroad away from my family were taking their toll. Another factor was that more and more of our work was being based in London, and the journey and the parking and the crowds were driving me nuts. I longed to get away from the big city and live the Good Life with my family in the countryside, and I can honestly say it was the best thing I ever did. The day I finally turned my back on the industry for the last and final time, it was as though a ton weight had been lifted from my shoulders. You have to remember that the reason people never leave the business is because they are specialists working in a very special field, and outside the industry they would be like turtles on their backs. When the bad times come and there’s no work about, film people often feel they’d like to get out and do something else, but what else can they do to earn even a fraction of the salary they’re used to earning in the movies? I guess I followed my heart, Paul. I knew I’d been very lucky, and I’d had a great career and it had been a privilege to have worked in such a creative industry. But for me it was time to move on, and I have to say that I’ve loved every moment of my time in this wonderful county of Herefordshire. 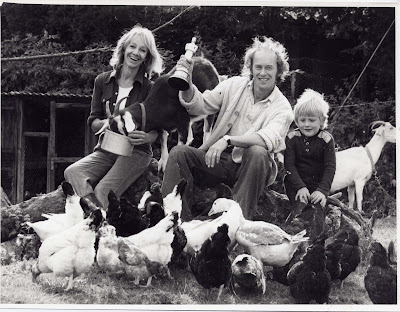 I became a fully-qualified plumbing-and-heating engineer, and with our seven acres of land we became self-sufficient in food with our animals and vegetable garden. My daughter had a pony and my son rode on tractors, and it was only when they became adults that they moved back to the town. 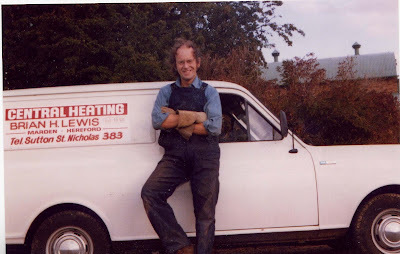 The attached photo was taken by a Daily Express reporter who somehow heard about my transition from film man to plumber. How do you feel about modern sound-effects? I must say the work done on the soundtracks of all the Bonds has been exemplary. My very good friend Colin Miller was the dubbing editor on six Bonds, and he won two awards from the American Sound Editors' Guild. 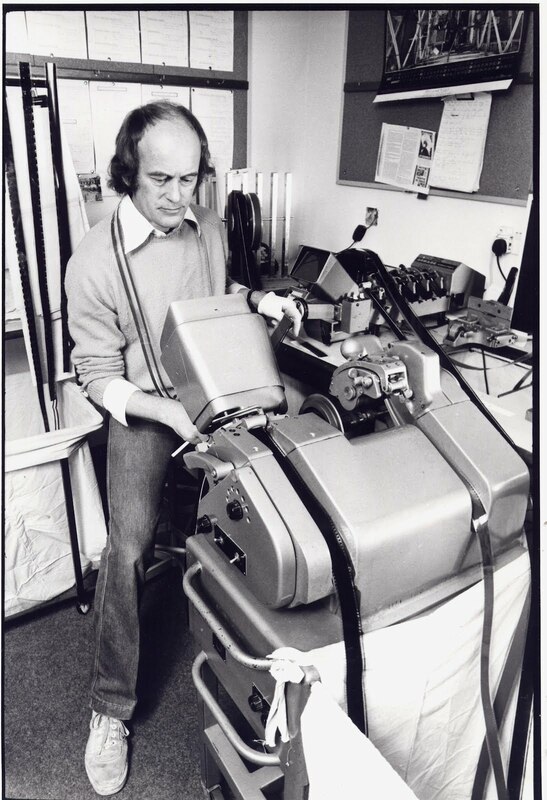 It is worth mentioning that in the space of time between my leaving the industry and returning for NEVER SAY NEVER AGAIN, sound technology had progressed dramatically. As soon as I arrived back in the studio my former colleagues told me that the days of mixing umpteen tracks together to make one sound were over. There were now guys with the machines and the know-how who could create any sound to order, and I was happy to employ such an expert for the electronic-game sounds at the end of NEVER SAY NEVER. I guess they had finally caught up with the BBC Radiophonic Workshop. Do you have any advice for future sound effects editors? I think my advice would have to be to enrol at a film school. Everything has changed completely now and there’s no way I can talk on the subject with any authority. Colin Miller is one of the few from the old school who tried to adapt to the new system for a while, but he is retired now. It’s all to do with hard drives, floppy discs, CDs and computers, and as far as I can tell all the sound-effects libraries are history. For guys of my generation to enter a cutting room and not see a single frame of film is quite extraordinary. I always knew the system would have to change one day and it certainly, certainly has. What are your happiest memories of your time in the industry? This is a hard one. Because I love to travel so much, I suppose working in foreign countries gave me the most joy. My time spent in Israel, Germany, Demnark and the Channel Islands brings back many happy memories, as well as my two weeks in the States of course. Also the fact that my first outing on DR.NO was a success and the fact that Gordon McCullum treated me with respect will always stay in my mind. My time with Julie Christie was very special and of course my relationship with Poitier I will never forget……. (Pem says you’re the ……………………walks!!). There were too many wonderful experiences and moments to record here but one moment especially stays in my mind. I was in a recording theatre post-synchronising with Donald Sutherland, and between each line of dialogue recorded the lights went up whilst the projectionists put on the next section of film. During one of these periods a beautiful lady entered the theatre and went over to Donald and engaged him in whispered conversation. Nobody had any idea who the lady was as none of us had ever seen her before. They continued whispering until the lights started to go down and the lady then finally left the theatre. As the door closed behind her, out of the darkness Donald called out in a slow drawl ……. "Norm, did you just fall in love with my wife?" Memories are made of this. Sadly my wife died about 15 years ago so I live on my own now, but I’m very active and I travel a lot. ‘Distant Lands’ are like a drug to me, and my wanderlust has taken me to twenty countries over the past twelve years. These include Nepal, Borneo, Peru, Brazil, Kenya, Cape Town, Zanzibar, Mozambique, Venezuela, Bolivia, Thailand, Argentina, Sri Lanka and the paradise of the Maldives. Sadly, my lovely daughter has emigrated to the sandy beaches of Australia, so I‘ll be off there again this year to spend some precious time with her. I also have a work-out routine in my miniscule gymnasium, and writing to the Press, my MP and people like yourself is my main hobby. I rarely watch TV but I do go to the movies, even though it means an hour’s drive to the nearest cinema. I drive down to the South quite a lot to visit friends, neighbours, former colleagues and even school chums. There’s never a dull moment. I would like to thank Norman for generously giving his time to talk about his career. The photographs of Norman were supplied by him. This interview was done by email during February 2012.